This whip is a game changer! 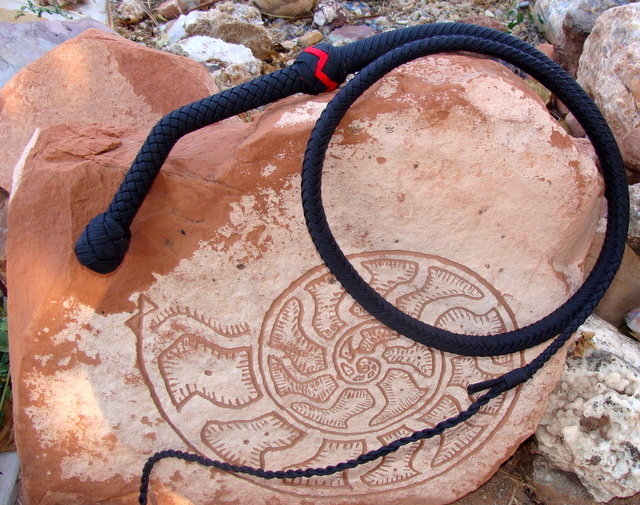 The Bodlak Combat Whip is made specially for Randal Bodlak for his whip system. They are fast, fluid and behave completely different than traditional whips. The whip comes standard in 4.5 foot long, 12 plait, double belly with a light shot load. 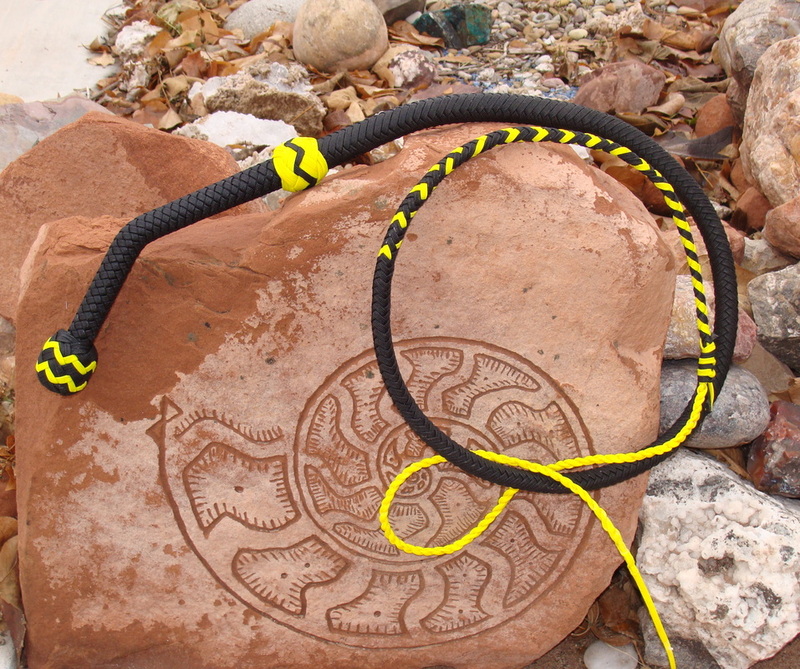 It features a curved handle that is completely unique to Randal's whip system. The Bodlak Combat Whip is designed for martial arts movement-lashing,cracķing and close quarters fighting. As any serious whip practitioner can tell you a well crafted smooth rolling whip is key when preforming at full speed. That is why I chose Bobbi HolyOak to bring my concept to life. HolyOak whips are unsurpassed in both construction and movement. Her whips are alive! Bobbi HolyOak is the only whip maker I have given permission to make the Bodlak Combat Whip. Her skill makes the whip-don't accept anything less. Randal was good enough to make some short videos demonstrating his whip system. This first one is really good and shows a lot of what he is teaching now days. The bottom two videos are more candid. I'm fairly certain that he didn't know he was being filmed in the one. He was gracious and let me use it anyway.